Round neck top by Margittes with short sleeves. 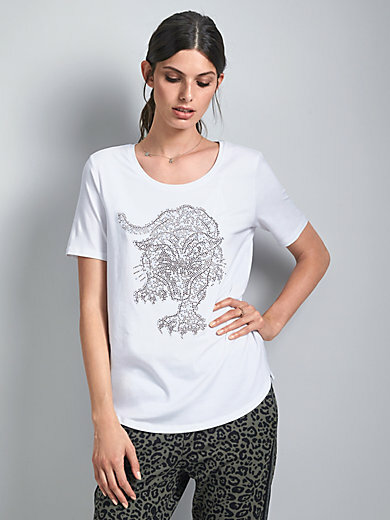 Basic top with a cool tiger motif made of glittering appliqué stones on the front. With facing at the neckline, curved hem at the front and small side vents. In 45% cotton, 45% modal, 10% elastane Length approx. 26ins. The top is machine washable.